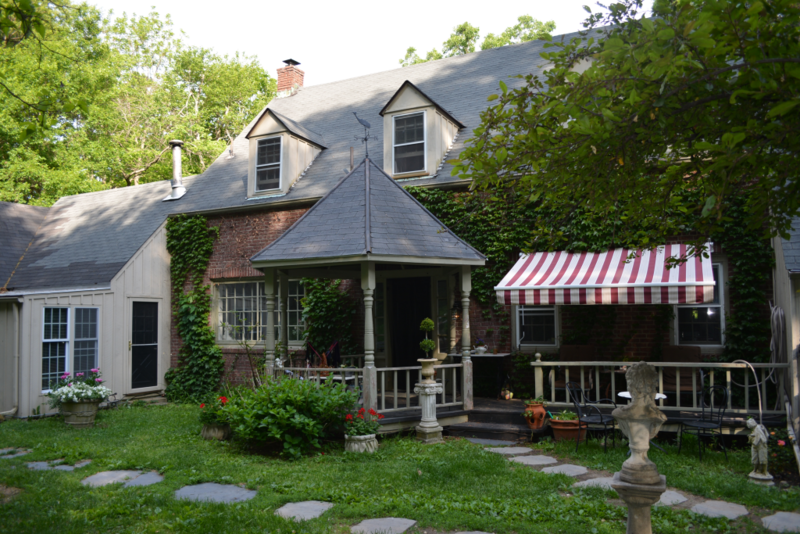 Base Camp Bed & Breakfast NY is located in the Hudson Valley in Beacon, NY. The bed and breakfast is at the base of Mount Beacon, the view from atop of our Hudson River Valley is truly wondrous. Beacon, NY is a small town rich in history, Victorian architecture, art galleries, shops, museums and fine dining. Easy access from Manhattan from Grand Central Station to our bed and breakfast here in Beacon. Soothing jazz music was playing as we entered the space, and plenty of nice amenities were around to be enjoyed. The rental had a nice, writerly feel to it and was very cozy. The rental had a nice, writerly feel to it and was very cozy. Penelope’s charming unit was as described. Quiet and private and right at the bottom of Mt. Beacon which was perfect for the one hour hike to the top. Penelope was there to greet us upon arrival. We were only there for one night. The breakfast was simple and a nice touch. Best to drive to Main Street because it’s a fairly long street. Penelope's charming unit was as described. Great experience over all. We drove up on a snowy and cold day from Manhattan, and Penelope’s son was there to greet us in the evening. She showed us the place and new a great deal about local restaurants and activities. He also had stocked muffins and coffee for our breakfast the next morning. The house is on a hill and rather picturesque. Penelope was a wonderful hostess. she gave us excellent dinner recommendations. the accommodation was perfect if you can handle steep stairs to the loft. The house was cozy and inviting, very romantic. Probably want to rent a car and not rely on Taxi service in Beacon, but we were able to walk into town. The house was cozy and inviting, very romantic. Base Camp is right on the outskirts of Beacon. A 1/2 mile walk to town (and one of the best restaurants/beer bars!) It’s a private cottage with a very cozy living area downstairs complete with wood burning stove (which we actually used on what was likely the last cold Spring evening of the year). The bedroom and bath are upstairs. The stairs are quite steep and perhaps not for everyone. We had no issues. Penelope was a great hostess. We will likely stay there on our next visit to Beacon. Penelope was a great hostess. We will likely stay there on our next visit to Beacon. Penelope was a great host. Her cabin was very lovely and comfortable. We stayed for a night and slept in – missing the hike with easy access from her land. We’d consider coming back again for sure. Penelope was a great host. The property is lovely and the accommodations are great. Base Camp was exactly what we were looking for – a cozy getaway in stunning surrounds just over an hour from New York City. Beacon is a great little town, and neighboring Cold Spring is also a gem. We went hiking up Beacon Hill – – steep mile hike from Base Camp. The cottage itself was very cozy and charming. Andrew was a great host. Very considerate. I would stay again for sure. Andrew was a great host. Very considerate. I would stay again for sure. Andrew was very polite and accommodating. He gave us a good list of things to do and see, as well as restaurant and bar recommendations. The place was very cozy and clean and exactly what I was looking for. I only stayed for one night and left first thing in the morning, but we had all the privacy we needed and Andrew was just a text away if we needed anything.